Also, it won’t track your Internet history or cut you off based on the sites you visit. Scout’s Honor. 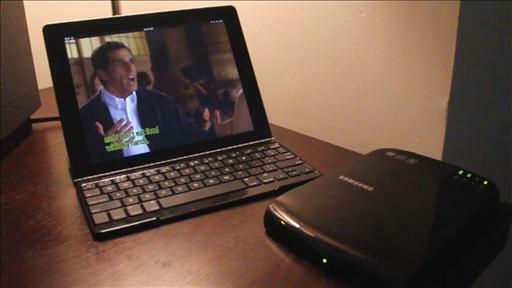 The hard-disk-drive maker is selling new devices that combine wireless networking with storage options. Dear Amazon: Somebody Wants to Buy a Brazilian Honey Wax. But Not Me. You used to know me so well! But now you’ve started sending me random emails for something called “AmazonLocal” and it’s like the last decade-plus never happened. Eben Moglen, a professor at Columbia Law School, is working to propagate a matchbox-sized device in homes around the world that will serve as a private and independent route to the Internet, free from prying eyes, Internet kill switches, and the whims of private conglomerates like Facebook. Walt answers readers’ questions on the second edition iPad, printer sharing and freeing up hard-drive space on a Mac. Geoffrey Fowler tests home routers to see which one best delivers a consistent wireless experience. Most are found wanting. Note: Walt Mossberg will return on December 29th. IPads Perform Better on Wi-Fi Than 4G? IPad owners living in a Clearwire 4G wireless zone and considering purchasing one of the company’s new iSpot base stations to enhance the device’s connectivity may want to hold off. Because according to a new report from BTIG Research analyst Walter Piecyk, the iPad doesn’t perform as well on Clearwire’s 4G iSpots as it does on typical Wi-Fi access points. Huawei! Huawei! We Own a Minority Stake in 3Com!